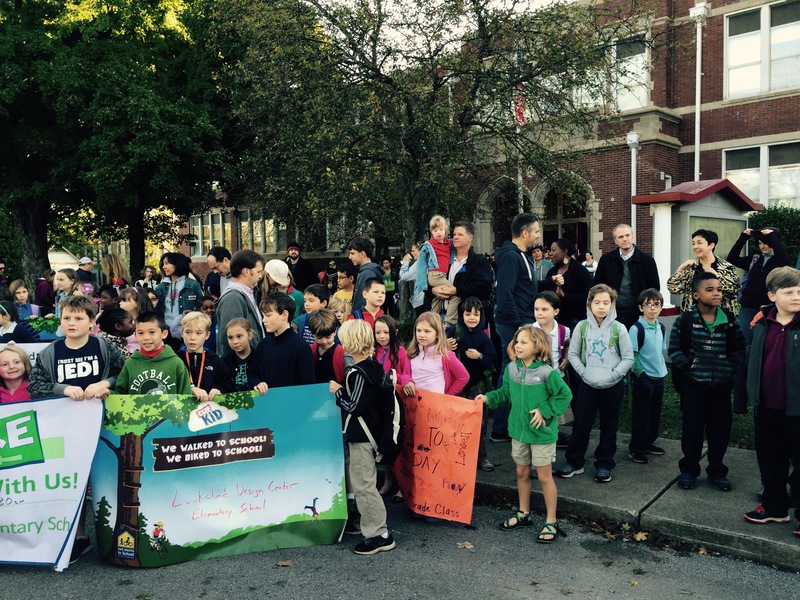 It is a traditional, annual fun show of community at Lockeland Design Center – National Walk to School Day. We don’t walk all the way from our house, do we, buddy? But we do meet at the church with lots of friends and families, and a pick-up truck with an older gentleman who used to have some affiliation with LDC plays the drums and gets everybody excited. Then we all walk – awkwardly, tripping over strollers, trying to stay together – to the front of the school building for a cheer and a shout-out to exercise. 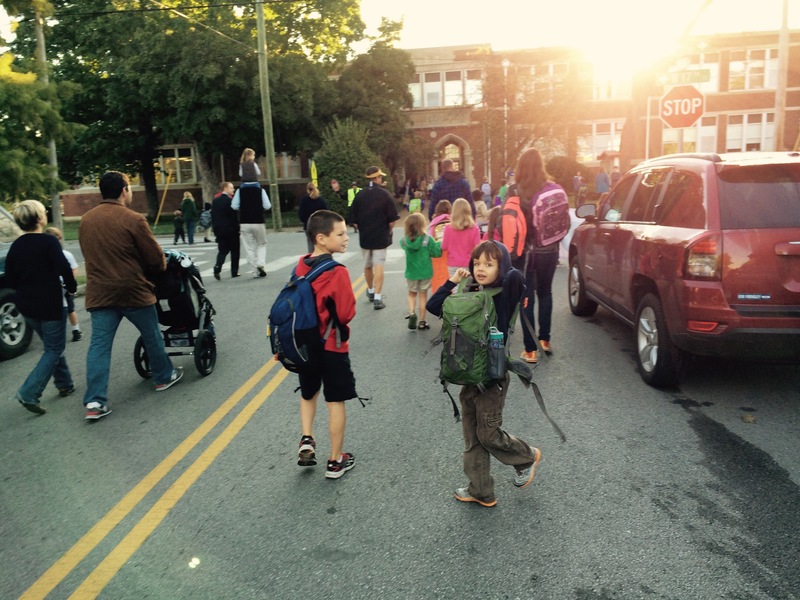 It is one event – in a long line of quirky, neighborhood-y things – that the school does that makes us feel connected and a part of a pretty awesome, little thing called East Nashville. This entry was posted in big boy. Bookmark the permalink.